Starting December 31, 2011 all homebuilders must begin to observe the stricter energy standards set forth by the Ontario Building Code, making all homes “greener.” The standard, known as EnerGuide 80, is centred on air leaks, sealants, heat loss resistance, window quality and other aspects that influence the efficiency of a property. Homebuilders, like Tartan, must differentiate themselves on other aspects besides building “green” houses. Tartan, already foreseeing this change, says that energy efficiency is not part of their marketing or sales proposition. “People glaze over when you try to sell a house on the merits of its payback period,” says Bruce Nicol, vice-president of Tartan Homes. Tartan, like many of the others, uses many eco-friendly features in their homes to make them Energy Star rated or above. But many homebuilders use their Energy Star ratings to sell homes. It is their key differentiating point. Now that the new EnerGuide 80 will become the standard (which basically makes all Energy Star homes standard too), builders need to find a new marketing edge to leverage their business to customers. While various Ottawa homebuilders try to figure out how to set themselves apart from their competition, they should keep in mind that most home buyers are looking for outstanding values, therefore affordability is always key in marketing and selling homes. 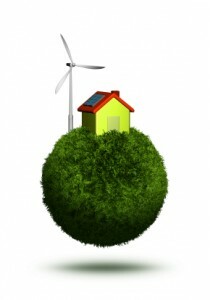 To find out more about energy efficient homes, contact Chris Coveny at OttawaMove.com. A seasoned real estate professional, Chris can help you buy or sell your Ottawa-area home.